Ankara has warned Berlin over a bill that would recognize the Ottoman-era mass killings and deportations of Armenians as genocide ahead of a Bundestag session focused on the motion. The Turkish Hurriyet Daily News quoted Turkey’s Deputy Prime Minister and government spokesperson Numan Kurtulmus as asking the legislators in Germany not to “jeopardize Turkish-German relations” by passing a “text which has no scientific value” on June 2. “Turkish-German relations have continued since World War I with extreme sincerity, leading to the intermingling of the peoples. I believe that the German parliament will not destroy this relationship out of respect for a few politicians,” he said, referring to the bill drafted by the coalition partners Christian Democrat Union/Christian Social Union (CDU/CSU) and the Social Democrats (SPD) and apparently backed by the Greens in Germany. Turkey would temporarily recall its ambassadors “for consultations” and in some cases, like France’s, briefly suspend cooperation in certain areas with countries that passed Armenian Genocide resolutions in their parliaments in the past. Last year, for example, Ankara briefly recalled its ambassador from Vienna after the parliament of Austria, a World War I ally of Turkey, issued a relevant declaration timed to the Armenian Genocide centennial commemorations. 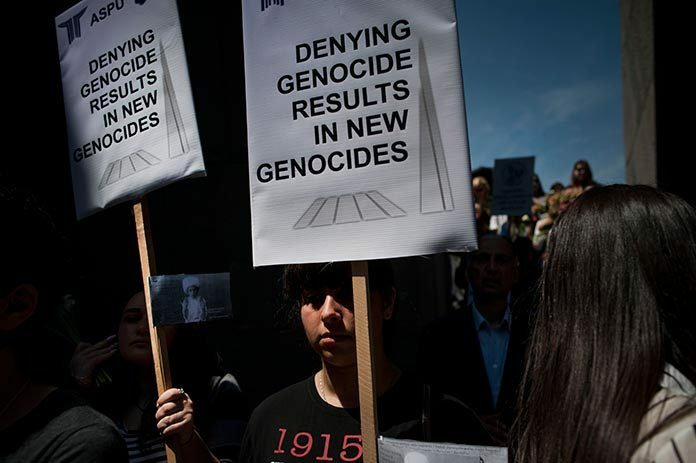 Authorities in Armenia and Armenian Diaspora organizations around the world, on the contrary, have commended the parliaments and governments of the countries that label the Ottoman-era killings of 1.5 million Armenians as genocide. Many consider that the resolution in Germany is important also because the German Empire was an ally of Ottoman Turkey during the First World War and Berlin indirectly shares responsibility for the slaughter of Armenians. The debate over the Armenian Genocide resolution in Berlin comes at a hugely sensitive time in German-Turkish relations largely defined by the migrant crisis in Europe. Hundreds of thousands of people fleeing conflicts and misery in their countries in the Middle East, Asia and Africa in recent months have been trying to get their way into the European Union area and specifically Germany that is known to enjoy one of the highest living standards in the world. Many observers in and outside Armenia do not rule out that the legislation-related debate in Berlin may give Germany another leverage to make sure Turkey keeps the migrant floodgates at the borders with the EU tight.